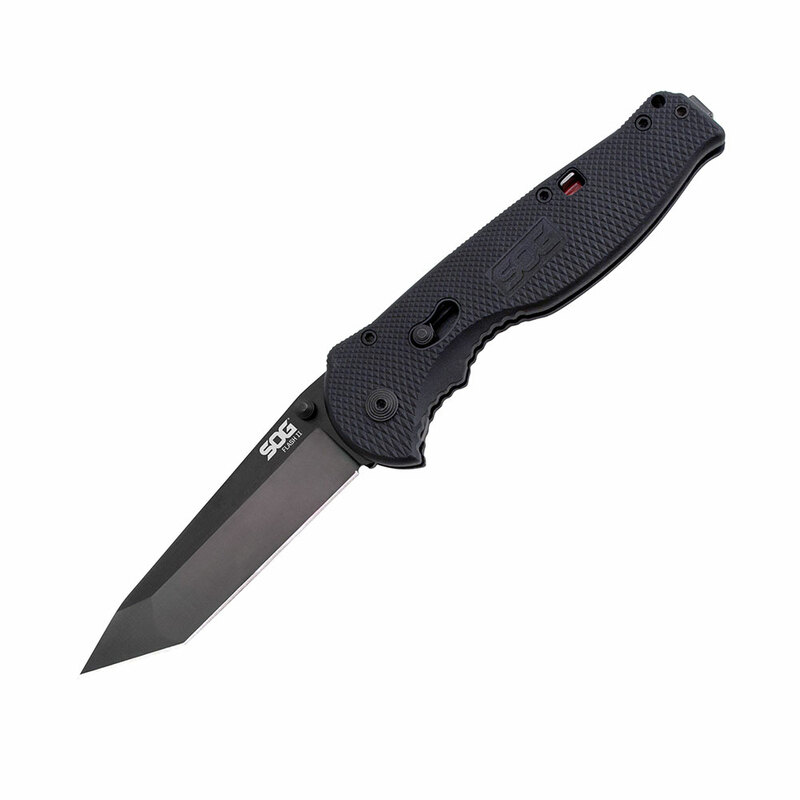 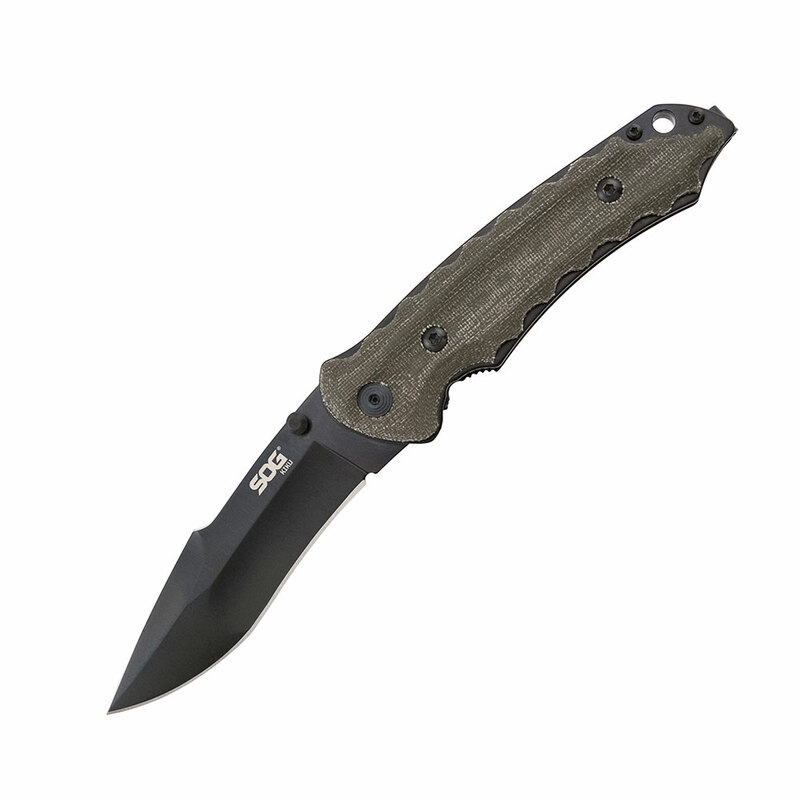 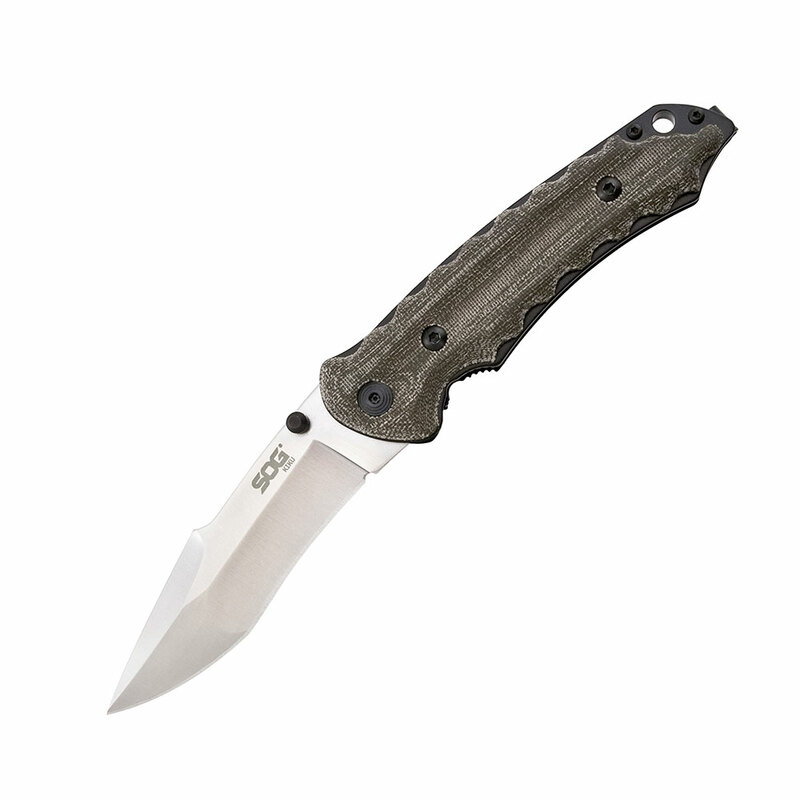 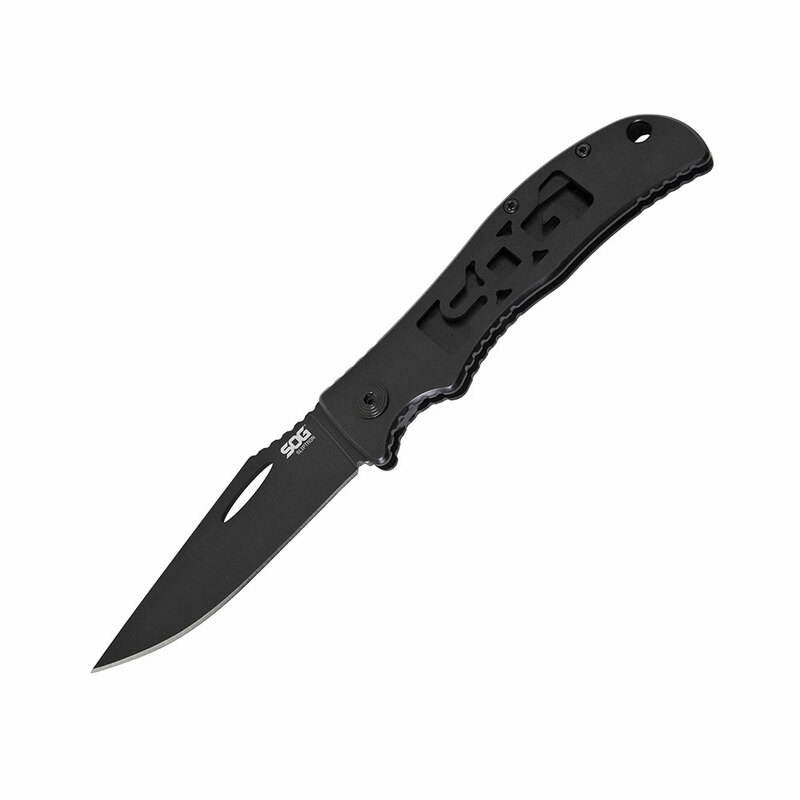 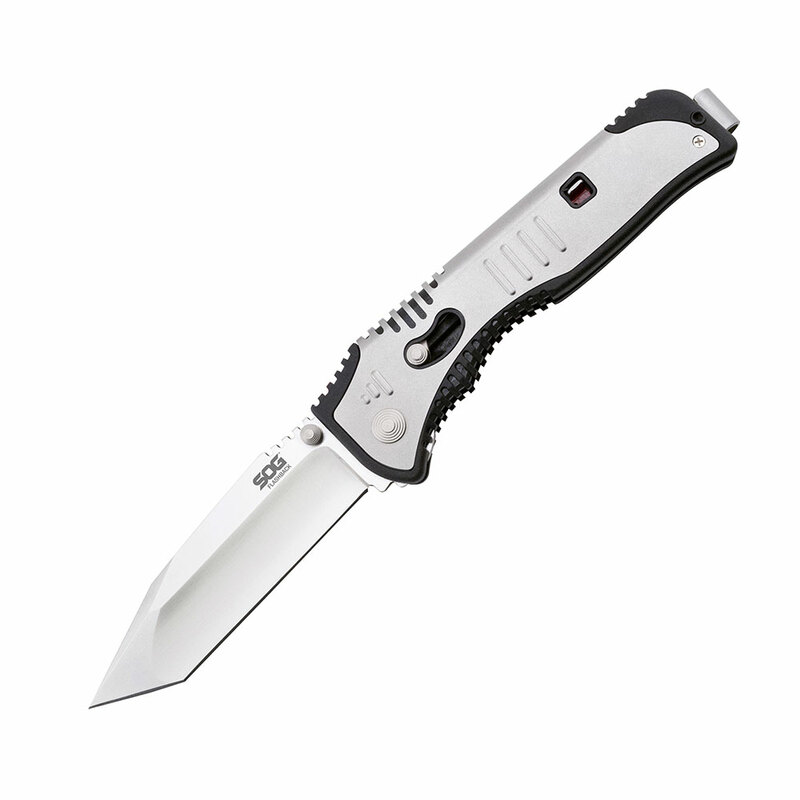 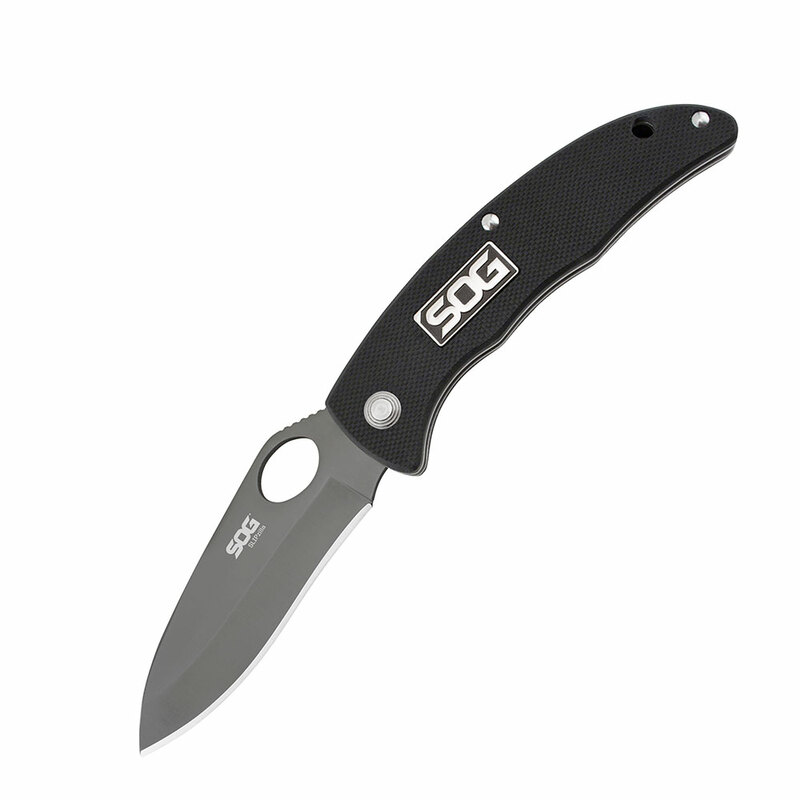 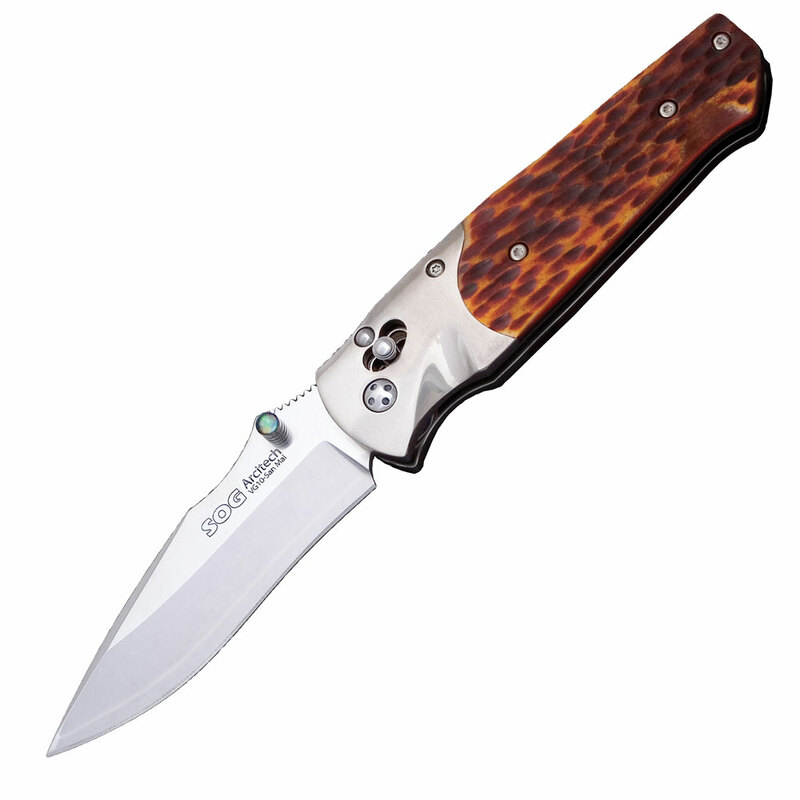 An ideal everyday carry that opens faster and with more purpose than any other assisted knife available. 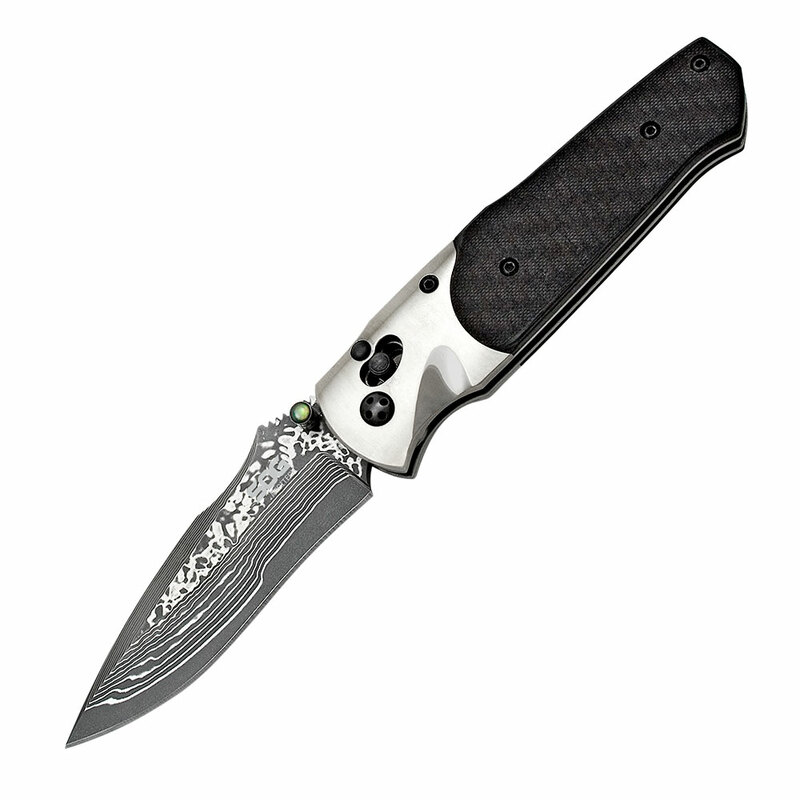 Made of AUS 8 stainless steel with an attractive satin finish, the 3.5-inch straight edge tanto blade that sharpens easily and makes quick work of any task. 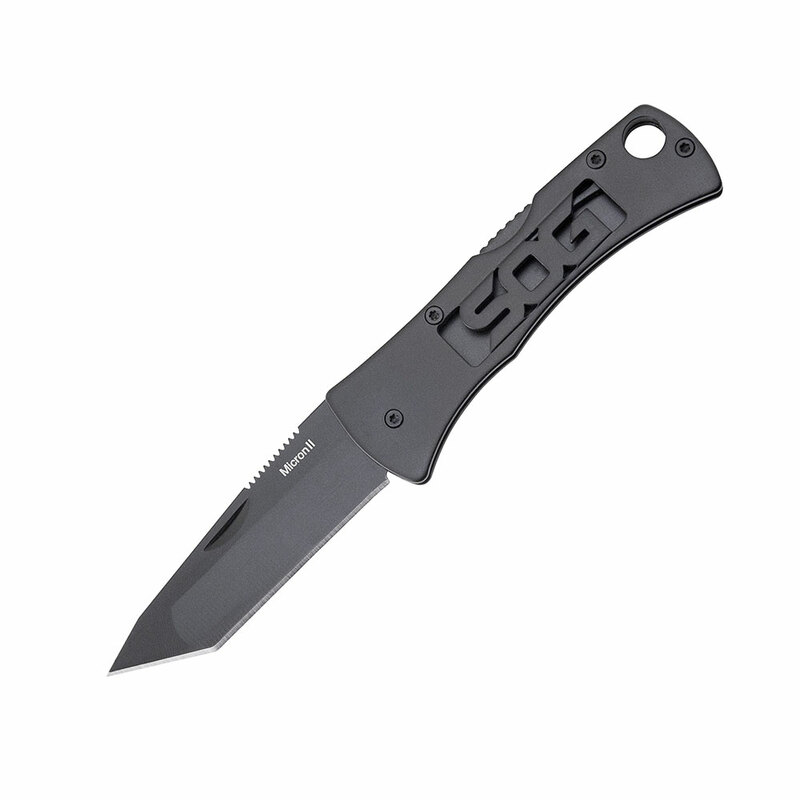 When you start to open the blade, SOG’s patented S.A.T. 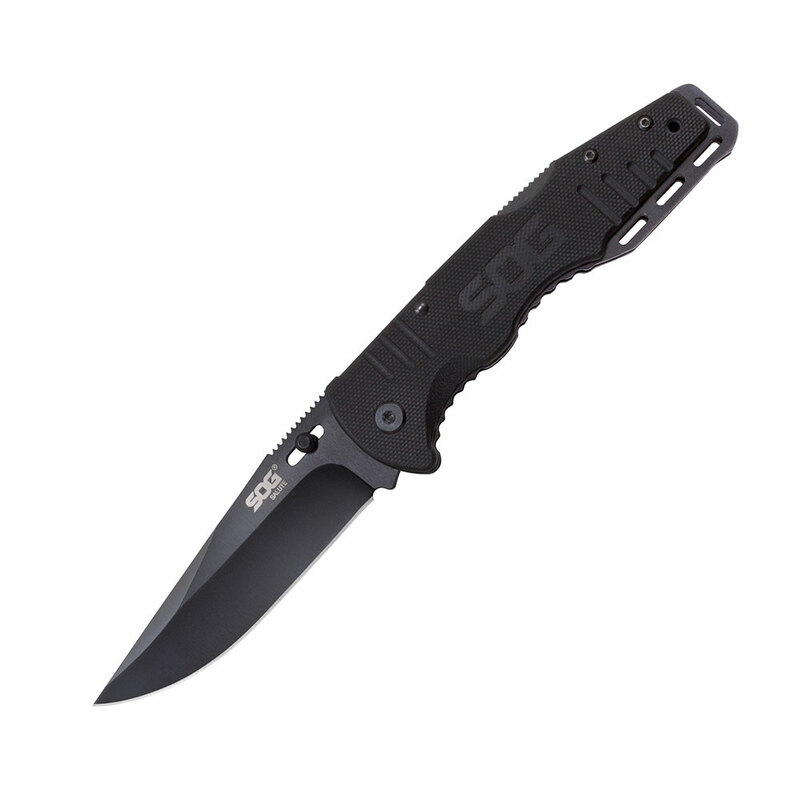 2.0 (SOG Assisted Technology) takes over and high-tension coil springs propel the blade the rest of the way open for fast, easy, one-handed access. 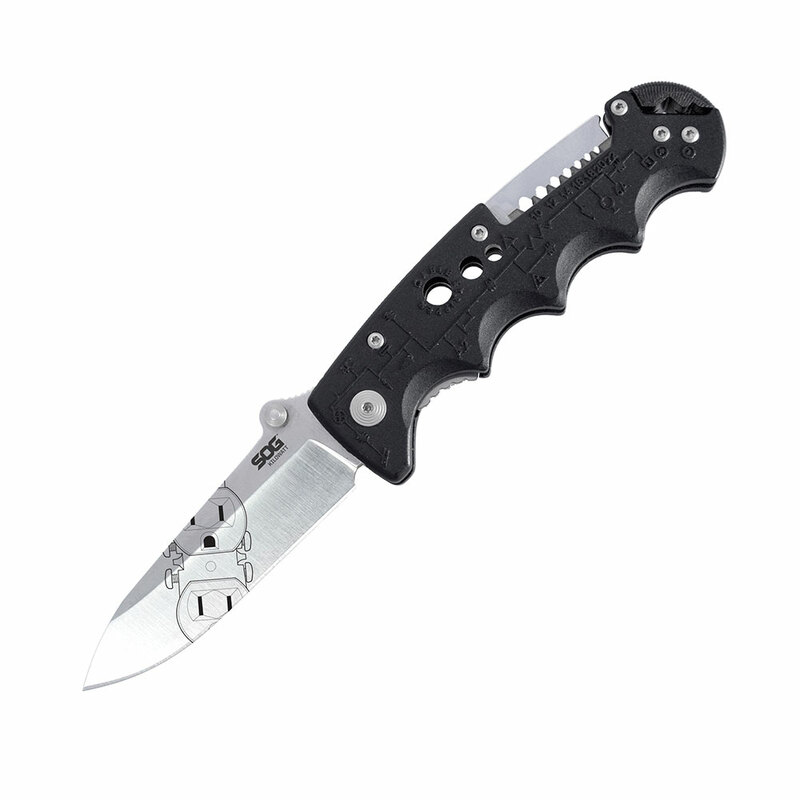 A Piston lock utilizes a movable bar wedged between the blade tang and knife handle to securely lock the blade in place when in the open position. 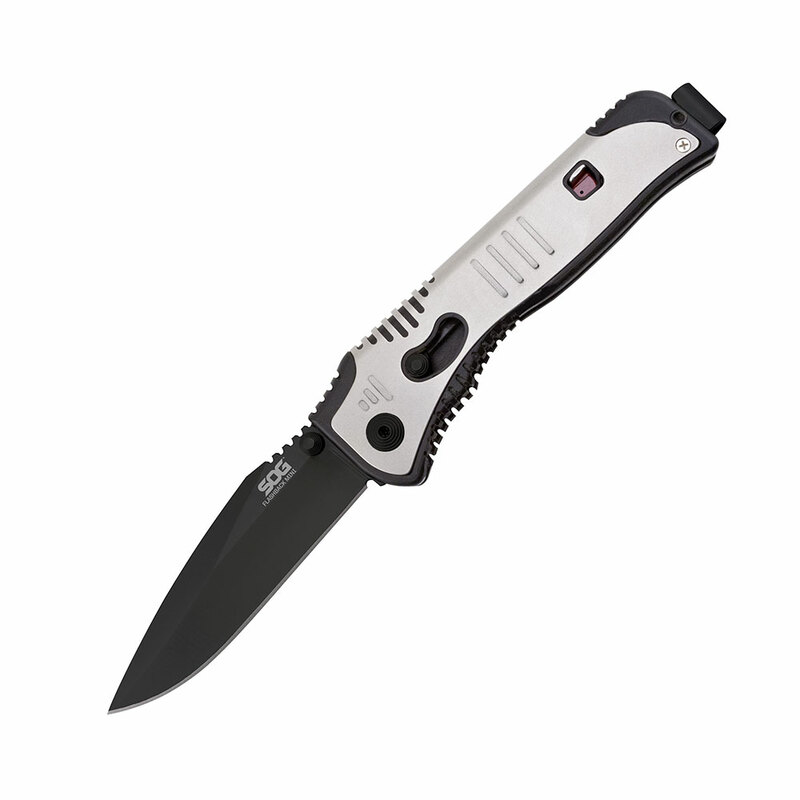 The ergonomically contoured and well balanced handle has a satin and black finish, made of glass-reinforced nylon with a stainless steel wrap and fits comfortably in your hand.